If you have any questions or concerns about King Brand® BFST® and ColdCure® products or treatments, please contact us via email or telephone. Our staff is thoroughly trained on product and injury knowledge to help support your recovery. Our team will be able to provide you with product information as well as information on specific conditions and injuries. The King Brand® team of Advisors is available via telephone during the hours listed below in Eastern Standard Time. 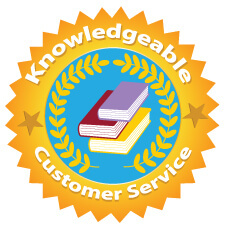 When contacting us outside of the set Customer Service hours please leave a voicemail, email or post your question on our forum and our team will contact you as soon as Customer Service re-opens. For further support, please also visit the King Brand Forum to post questions or concerns regarding your injury and/or treatment. King Brand® offers a 30 day money back guarantee (starting from the day of receipt) on all products. 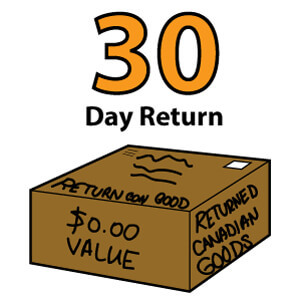 The postmark on your return must prove that you mailed it back to King Brand® within the 30 days. Shipping charges are not refundable. To receive a full product refund, please return the complete product, including ALL components*, using appropriate mailing materials that will ensure your unwanted product reaches us in good condition. Note: Our 30 day money back guarantee does not apply to the KB Support Tape, which is a final sale item. Simply mail the product(s) you do not wish to keep to the relevant address below and include your contact information and KB Order Number with the returned product(s). Returns should be sent by regular mail only, tracking or insurance is optional. Please note that our Fulfillment Centers are outgoing destinations only and are designed to get your order to you as soon as possible. Returns must be sent to the appropriate address provided above for processing and refunding. Returns are individually inspected upon receipt and the corresponding order number is identified within our internal ordering system to issue a same-day refund. At King Brand® we are always looking for feedback. Please let us know the reason for your return as this will help us improve our products and services. You can contact us by phone or email, or include a note with your return, whichever is the most convenient for you. Please clearly mark the outside of the shipping box "RETURNED CANADIAN GOODS" and include your contact information and KB Order Number with the returned product(s). 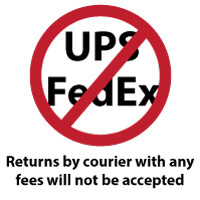 Courier companies (like UPS and FedEx) charge extra handling fees, customs fees and taxes - the post office does not. Returns by courier with any fees will not be accepted. Returned goods have no retail value. If the post office asks you to fill out a customs form for your return, please list the value of the product(s) you are returning as $0.00 or $1.00. 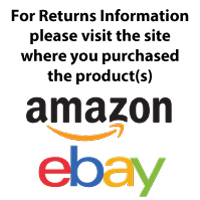 Information for eBay and Amazon Returns: Please visit the eBay or Amazon website to submit a returns request and to obtain further returns information. Information for retail customers: Please retain your receipt for proof of purchase. Your Warranty is not valid without proof of purchase. Returns should be brought back to the retail location at which you purchased them. King Brand® now has re-sellers located in Canada and the United States. Please view our Re-Seller Map for the names and locations of these retail stores. Not every retailer will sell every style of King Brand® product, however, all of our medical products can be purchased directly from the King Brand® website, or by calling our toll free number 1-844-400-2525. 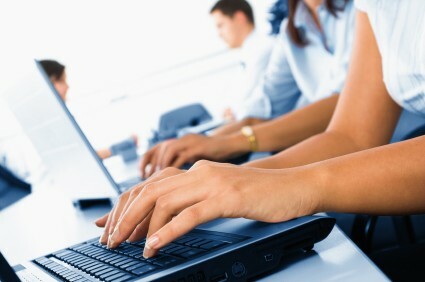 We do not keep any credit card information on file, so your transaction is completely safe and secure. Until your order ships, you will receive free shipping for any products you add to your order. 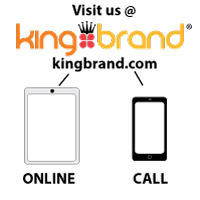 You can add products to your order on the King Brand Shop or by calling us at 1-844-400-2525. Payments for orders made at different times may show up as separate line items on your credit card statement. All orders are shipped the same day (or the next business day for orders placed over the weekend, or after 2:00 pm EST on week days). Tracking information will be provided if your order includes a valid email address and is also available upon request. King Brand® has U.S. distribution centers located in California, Georgia and New York. 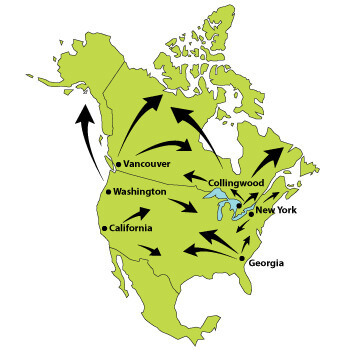 We also ship orders from our locations in Washington state, Vancouver and Ontario. Our system picks the closest center to you, so your order will always ship as quickly as possible. For parcels being shipped from our U.S. distribution centers, final delivery generally takes place by the U.S. Postal Service. King Brand® will ship products directly to pharmacies or medical practices at the request of either a patient or healthcare professional. 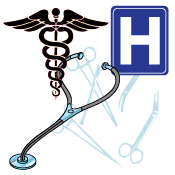 This may assist with the processing of purchases directly through public or private healthcare plans. For more information on receiving reimbursement for the cost of King Brand® products through your health insurance plan, please visit our Health Insurance Claim Information page. King Brand® operates a Public Assist Program that provides limited quantities of our medical devices, free of charge, to patients who require but do not have adequate financial resources or medical coverage to purchase our therapeutic devices. To participate in this program please contact our Customer Service department. Public Note: This program is ONLY available through surgeons and hospitals that are themselves providing free services to the patients on compassionate grounds. All requests must be made to King Brand® directly by the surgeon providing complimentary services to the patient.